Sesame oil is an edible vegetable oil press from sesame seeds. Besides being used as an oil for cooking, it is often used as a flavor enhancer all over the world. How is sesame oil extracted is often ask by people for the sesame oil can be extracted from the seeds in our home. With the help of our integrated sesame oil press, sesame oil can be got easily in your home. 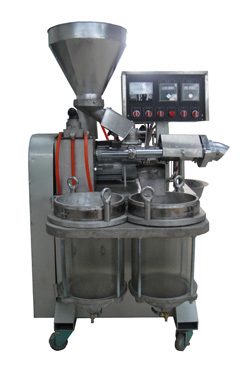 Here is the detailed introduction of our integrated sesame oil press. It can save labor and save cost : only 1 or 2 people can finish the production. 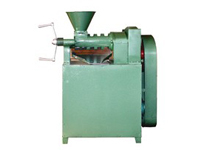 Widely used to press sesame seed or other oil bearing seeds or nuts. High oil output. Different oil materials have different oil yielding. It includes screw oil press, electrical element for heating chamber, and the vacuum filter can be for clearing the crude oil. Only 10-20square maters can meet the need of production. It is easy to operate . When operating, you should do as the instruction. 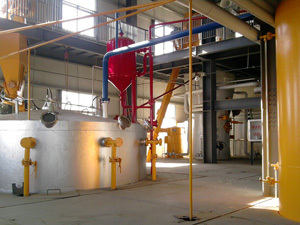 Oil Cake can be used as animal feed or fuel. Electrical element for heating chamber. Material: the main part of the machine is made of stainless steel and alloy steel. Beautiful appearance structure, pure oil meets with the standard of health quarantine. Adopt automatic circuit controlling and automatic temperature controlling. Sesame oil has a high smoke point and is suitable for deep-frying, while dark sesame oil has a slightly lower smoke point and is unsuitable for deep-frying. Instead it can be used for the stir frying of meats or vegetables, or for the making of an omelette. East Asian cuisines often use roasted sesame oil for seasoning. All of the machines listed above are matched Chinese Standard electricity situation: 220 Volts, 50Hz, single phases. If clients have special electricity requirements on the machines, clients should pay the extra cost of electricity special require. Contact us now and get more info from our professional team. We will reply your email in one working day. Email us and get a discount now.